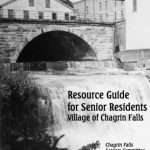 The Village of Chagrin Falls is seeking input from residents and neighbors regarding the use of park space. Please use the below link to share your feedback. Why is there smoke coming from the ground? 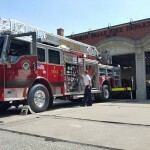 The Chagrin Falls Utility Department is currently conducting smoke tests of our sanitary sewer lines to identify areas with prohibited direct connection to the sanitary sewer lines or that are being infiltrated with storm water. 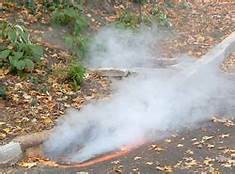 Our team is able to locate infiltration or connection points by putting smoke into our sewer lines and observing where the smoke is visible coming from the ground. Once located, we will develop a plan for repairing damaged sections or disconnecting the prohibited connections. This project is vital to both taxpayers and water customers as we begin to prepare plans for renewal of our EPA discharge permit. By reducing or eliminating infiltration of rainwater into our sanitary sewers, we can minimize or eliminate the need for additional and expensive holding tanks. 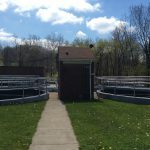 The EPA statutes require that we do not have any untreated releases into the Chagrin River, something that happens infrequently and only at times of very heavy rain fall. 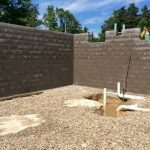 The storm water infiltration into the system creates temporary volume surges that exceed the plants ability to treat. 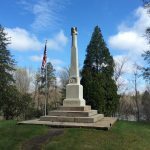 The Village Safety Committee (Angela DeBernardo, Nancy Rogoff and Erinn Grube) unanimously recommended the Village move forward with legislation to add a pedestrian crosswalk and a third stop sign to the 3-way intersection at the Bell and Walters intersection during a meeting earlier this summer. The Safety Committee will meet Monday, September 10 at 6pm to review the legislation and vote if it should be recommended to Council. 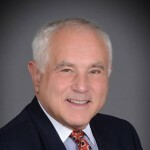 Residents are welcome to come and speak at the Safety Committee meeting regarding this legislation. The Walters Road Reconstruction Project is scheduled to start the week of April 16th and conclude in mid-October. 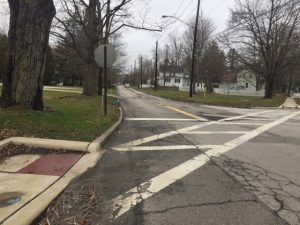 As part of the Village Capital Improvement Program, the work will involve replacing the sanitary sewer system, replacing the water main, removing the Hickory Hill sanitary sewer pump station, reconstruction of Walters Road, and the addition of sidewalks on the north side of Walters from the Village line to Bell Street. For the duration of this project, Walters Road will be one way with all traffic flowing north bound, leaving the village. Due to the size of the equipment, width of the road and scope of the project, please be prepared to expect delays and consider alternative routes. CFEVSD Transportation, Russell and South Russell Police Departments have all been made aware of the project and changes to the traffic pattern. The Village Council awarded the contract for this project to Mr Excavator. They will be working 4 x 10-hour days which provides flexibility to make up weather delays. Residents are advised that there will be occasional interruption of water services due to the water line replacement and notices will be provided in advance. In response to requests from residents, the Parks Commission approved two signs to be placed in Riverside Park with information about healthy diets for waterfowl. Ducks, geese and other waterfowl face serious health complications when they eat empty calories, like bread, instead of nutrient rich foods. These health issues can impact their ability to fly, migrate, reproduce and escape predators. Fortunately, it is easy to offer our feathered friends a healthy snack. Fresh foods like cut seedless grapes, cooked rice, peas, corn and lettuce are all great options. The Hardware Store sells bags of corn for $1. The signs will be placed in mid-April on existing poles. 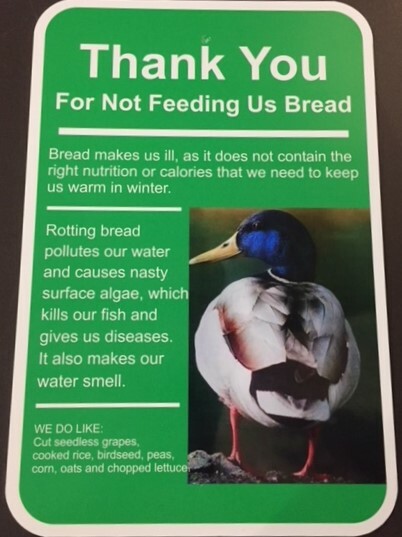 More information about the impacts of feeding waterfowl bread can be found here. 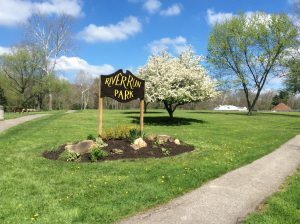 Exciting changes for Riverside Park have started! 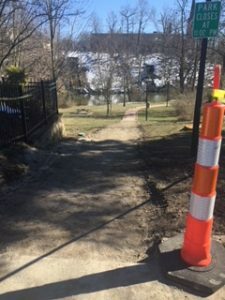 The Village is updating the steps leading from Riverside Park to the Library with a new handicap accessible ramp this spring. 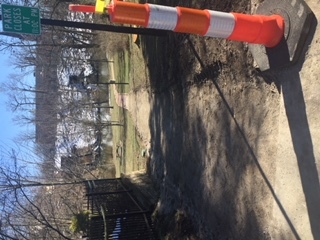 The new path is scheduled to be finished before Blossom. The old steps were removed over the weekend thanks to the generous support and volunteer labor of the Jaycees. All of the old bricks were palletized and will be utilized in a future project. Riverside Park will also see new plantings around the playground area in the coming weeks.